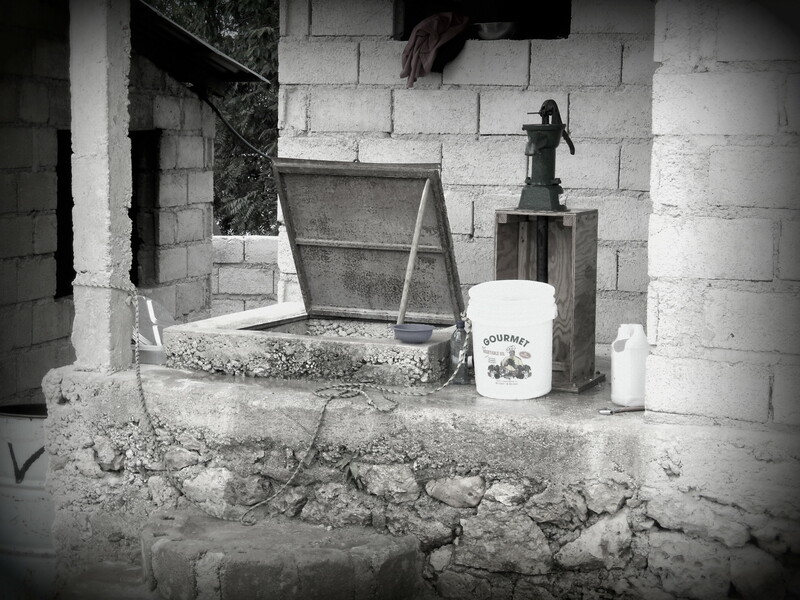 On January 25th, Global Benefit Coffee President, Phil Tuttle, was able to visit the island nation of Haiti. Poverty, corruption, and poor access to education for much of the population are among Haiti’s most serious issues. Haiti’s economy suffered a severe setback in January 2010 when a 7.0 magnitude earthquake destroyed much of the capital city of Port-au-Prince, and neighboring areas. Although Haiti was already the poorest country in the western hemisphere and 54% in abject poverty, the earthquake inflicted $7.8 billion in damages. According to the international Red Cross, 7 out of 10 Haitians live on less than US$2 a day. “I was able to see firsthand the poverty, destruction, and dyer straights that the people of this country live in. My mind was racing with ideas of what to do and how we could help,” said Phil. Global Benefit exists to help people just like this and with the help of each one of you, we can change the world together. Many of the water that gathers in these cisterns become polluted with bacteria. The water that many of these drink is the same water animal’s wash in, motorcycles and trucks are cleaned in, and many of the people bathe in. 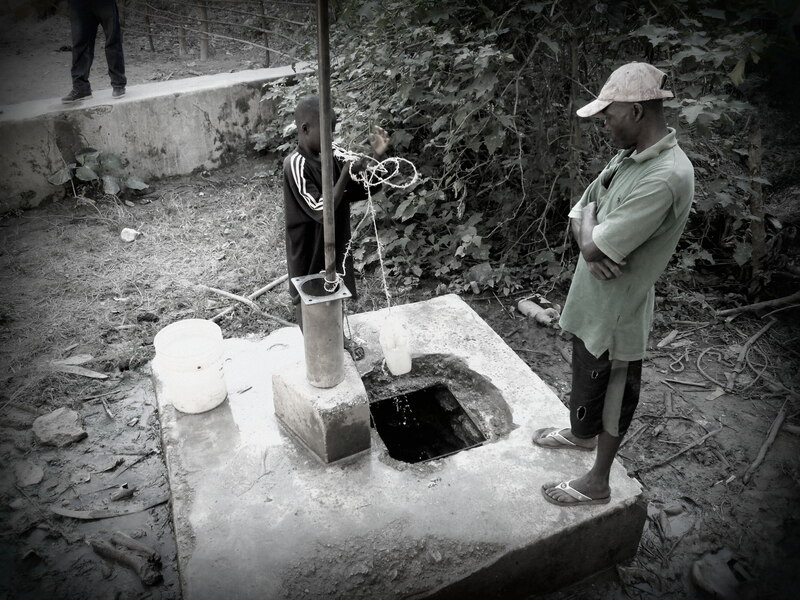 In the coming months, we will be looking to establish a clean water well on the island of La Gonave, Haiti. Although, we don’t see these people on an every day basis nor will all of us really be able to grasp how desperate their situation is, once we have been informed it is our job to act. Buying our coffee creates this change in the world. Support Global Benefit Coffee and watch the world change around you. Here at GBC we love coffee so much, we experiment with it as much as possible! One of our more recent experiments has been baking with our coffee. Interested in the results? 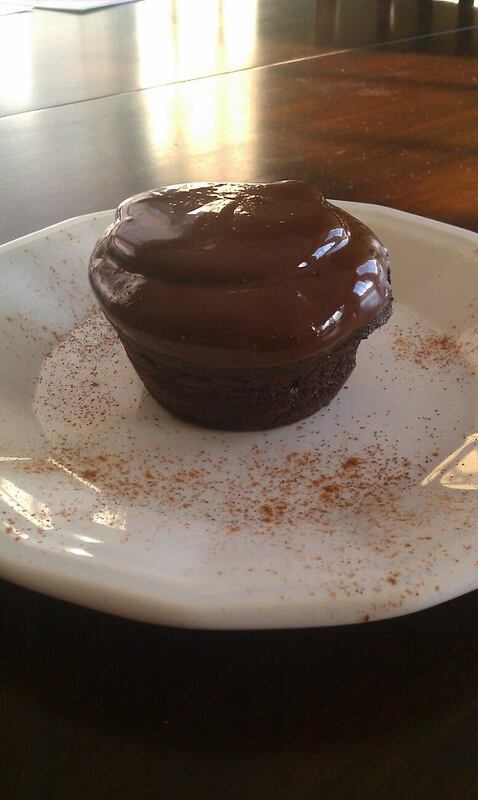 With the help of Robin’s Sweet Confessions, we have come up with an amazing recipe for a chocolate covered espresso bean cupcake! It is a rich decadent cupcake that will satisfy that sweet tooth for days to come, and the best part is it is glutton free! The recipe is easy to follow and even easier to enjoy! Do you have any of your own recipes with coffee? Let us know what they are and you may be featured next! Come check out our Facebook! Coffee for a Cause, is there anything better than that? But wait! It doesn’t stop there, Global Benefit Coffee not only helps to build wells in Africa, but the coffee is all organic not to mention we are a Fair Trade company. GBC invites you to be a huge part of change in our world! 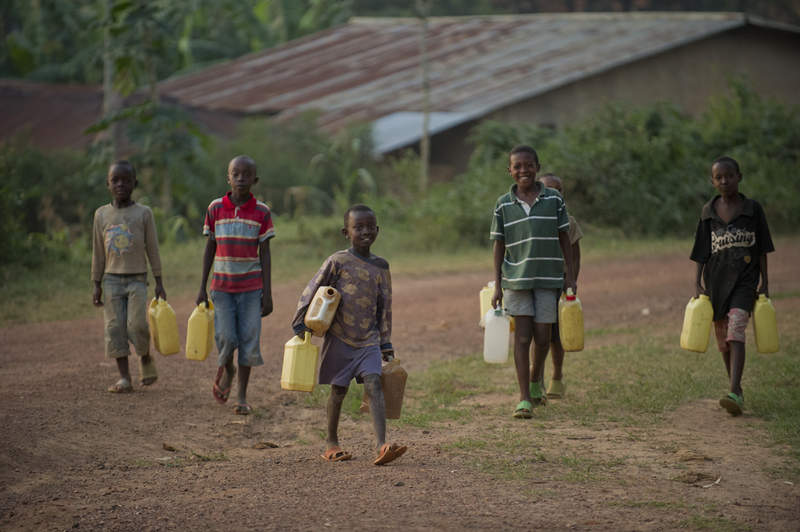 One of the most important of life’s essentials is water, and in Africa clean water is rare and hard to find. 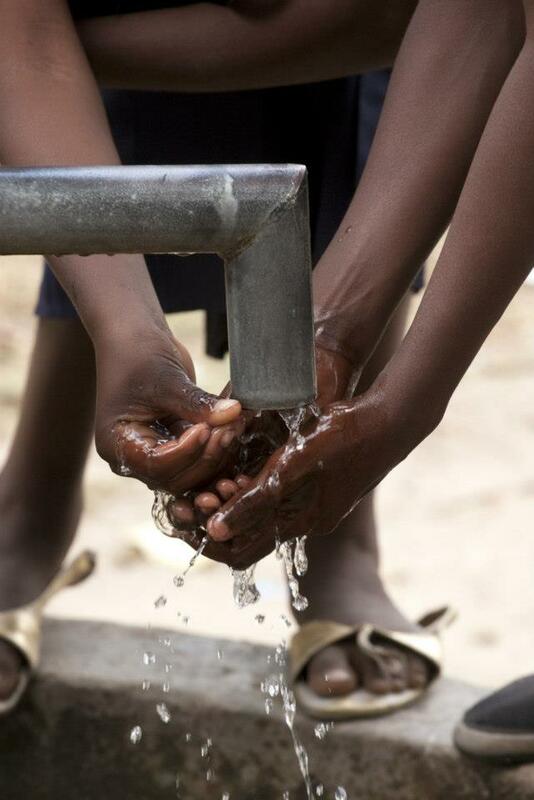 Nearly one billion people have little to no access to clean water. 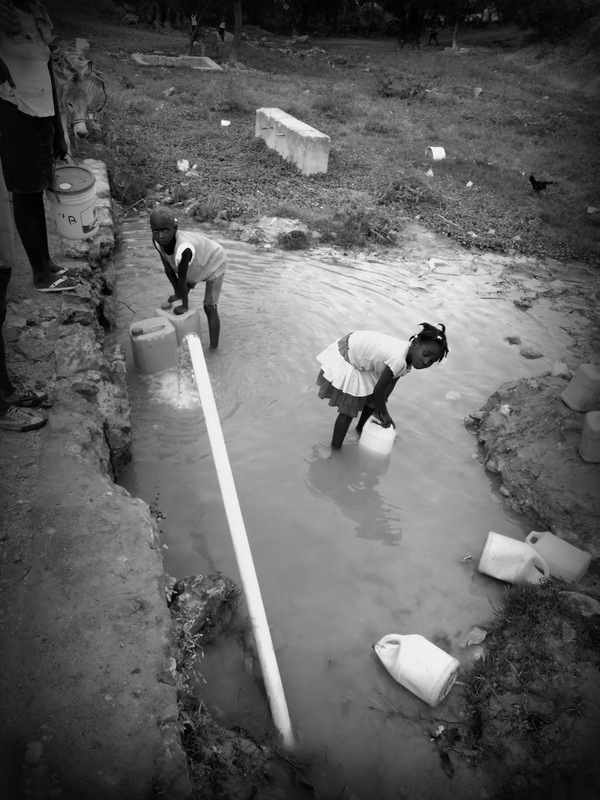 People drink polluted water daily because it is the only thing that is accessible to them and as a result these people contract waterborne diseases such as cholera, diarrhea and intestinal parasites. People become too sick to work and children are too sick to go to school. Just one well built in one village increases the health and livelyhood of people for miles! Global Benefit Coffee has partnered with The Water Project to build wells in Africa to help to bring an end to this vicious cycle. When you are buying GBC’s fresh organic coffee you are making a difference in the world you live in. And not only do you make a difference in the world, but you get to enjoy one of our fresh smooth coffee blends. We have many signature blends for you to choose from, each very distinct and full of flavor. Put the roar in your day with this great blend! Highly rated Ethiopian Yirgacheffe and Sidamo make for a smooth, strong, and floral roast. These high-grown beans from El Salvador and Bolivia with some added robusta provide a rich, hearty flavor, analogous to a good burgundy. Pungent acidity and a robust, full body. A smooth and nutty blend of Guatemalan Atitlan and Mexican Chiapas coffees from shade-grown farms; giving great taste while protecting critical migratory songbird habitat. A medium roast that starts out with the smooth, syrupy taste of Sumatran and the frutty, fragrant, qualities of Ethopian combined for the classic coffee. The original European blend, still the best! A soft smooth roast consisting of Costa Rican (hearty), Peruvian (sweet) and Nicaraguan (bold) balanced with darker high mountain beans from volcanic soils of Indonesia, Timor and Papua New-Guinea and finished off with Rwandan beans that adds a boldness that will surely wake you up with a smile. This gourmet whole bean coffee is certified Fair Trade and Organic. It is micro-roasted to our specifications just before we receive it. Profits from the sale benefit well building in Rwanda. A dark, smoking blend of high mountain beans from the active volcanic soils of Indonesia, Timor and Papua-New Guinea. Eye-opening. A full-bodied, but flavorful and aromatic coffee. Central American beans in a dark roast. The best tasting decaf in the world! A hearty combination of light and dark roasted South American and Timor beans, with a splash of Italian Espresso Roast. A smooth, complex blend of Colombian and Peruvian French Roast Decaf. All the flavor and half the caffeine! Put the wind in your sails with the fine blend of mellow and medium-bodied roast with very low acidity. Our decaf process is, of course, the chemical free Swiss Water method. This gourmet whole bean DECAF coffee is certified Fair Trade and Organic. It is micro-roasted to our specifications just before we receive it. Profits from the sale benefit well building in Rwanda. 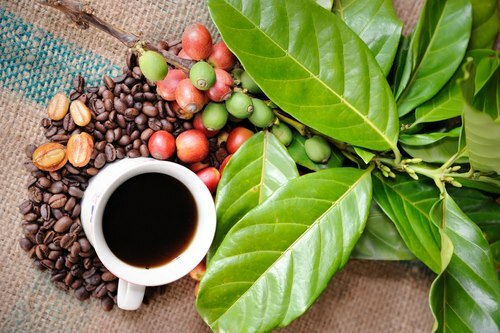 By bringing in fresh organic coffee in your home, you are bringing in change. Change in the lives of men, women and children, to have a chance to work and go to school and to make their lives better. Join Global Benefit Coffee(link) and bring change to our world! John Easter, 29 from New Hampshire felt there was a real need for Christian clothing that appealed to the younger generation. He used his artwork to create the products for his Christian shirt company called “Know The King.” John’s vision was for shirts and caps that were cool, appealing to wear and conversation provoking. It was also essential to him that his company be both God centered and built on the foundation of spreading the gospel and making a difference. You can check out and purchase the t-shirts and caps at www.knowtheking.com. Global Benefit looks forward to partnering with John and seeing lives changed both through the messages his products convey but also in the impact his company makes while giving back. 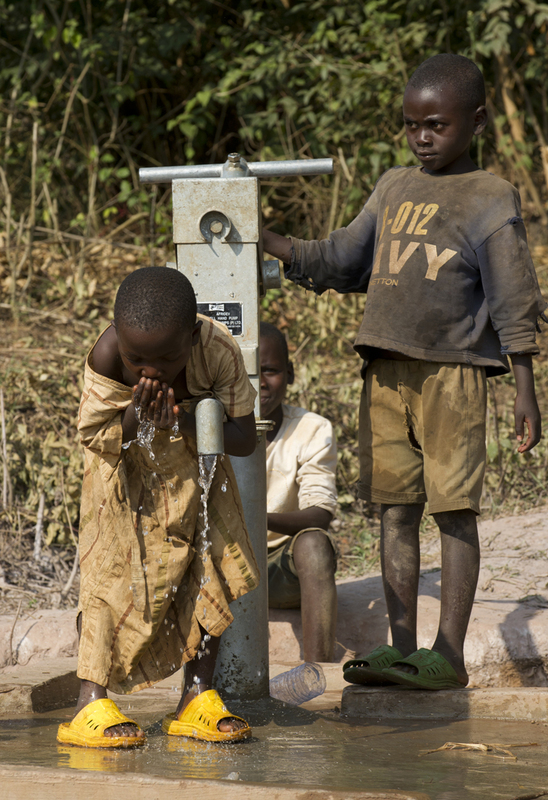 Children Drinking from the new Water Well. 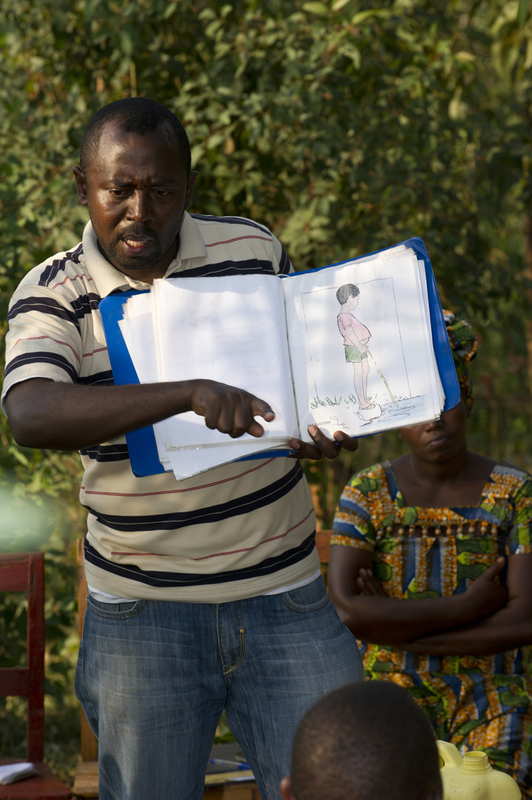 Whenever we do a clean water project, sanitation and hygiene training always follows. Now that there is safe water for their village, they now need to know the other side of cleanliness, which is found in good hygiene. Everything from knowing how to wash your hands (yes there is a right and wrong way) to knowing how to handle your child’s waste (no diapers here), to brushing your teeth with clean water and protecting your feet from cuts were worms can enter the body. Today we went back to the village where a new Water Pump had been installed a few days earlier to do the hygiene training with our partner, Living Water International. We were picked up by Philip a Rwandan who does all the sanitation and hygiene training for LWI. We drove on a nice paved road (roads were not like this 6 years ago when I first started coming to Rwanda) for about 20 minutes heading out of Kilgali. We then turned off the paved road and headed 7 miles up this very rutted red soil road that was shared by cows. Like most times when you are trying to find your destination in the villages you always have to stop multiple times to ask for directions. It seems like there are roads and paths that go every which way – this trip was no exception. We got to our location for our training – it was stunning. Here on the side of a hill overlooking a valley and under a small grove of trees were 4 chairs and a table with no buildings in sight. Under the trees were women children and a few men who had seemed to be waiting quite some time for us to arrive. In Rwanda there is no such thing as arriving on time. We always joke to clarify – are we speaking African time or American time. Africans typically will arrive anywhere between 1 to 2 hours later than the agreed upon time. I’ve found not to fight it but just roll with it. There is a custom in the Rwanda where the women tend to sit together and men will sit separately. Today was no exception, except I broke that custom and sat with the women, I wanted to hold their babies. It wasn’t until I got up to speak that I realized the separation, and I then remembered this custom, it was too late and I was the odd man out. Oh well, the people probably just laughed at the ignorant “Mazungu” (this is what they call white people). Phlip teaching where the children should "relieve themselves"
It was interesting to see the reaction to hygiene training. Philip was teaching with a three ring binder that contained hand drawn pictures, they were glue to the pictures like we might be glued to the latest 3D film. They were very attentive to the training and even asked great questions. Well, they seemed great…I didn’t really know what they were asking, but it looked like they were engaged and were wanting more information. At the end of the training I was asked to address the gathering of people to share with them where I came from, talk about my family (they love to hear about your family) and about what motivates me to do what I do as it pertains to Global Benefit. They were amazed that a white man would come all the way from the USA to be with then and they could not believe a white man would care enough for them to help their village get clean water. Yes, it makes you feel good, but I could not take the credit for it. It has been the work of many to raise funds that allow us to do what we do at Global Benefit. We are just the catalyst to make this happen. When we left the training, we stopped back at the new well site to see the activity. It was about 5:30 pm and we saw that children were coming from all directions and distances with the yellow jugs to get their water. It looks like this is the nightly routine for these children. The women will get the water in the morning for their family and for their daily chores, but at night the children after they come home from school, head to the water well to fetch their evening supply of water. It is so rewarding to see the impact that is being made. Just days before the community was getting their water from a stream that was dirty and filled with parasites. Now , they are pumping cold, clean water from the ground. I want to say thank you to all of you who have followed this blog. Not everyone is aware of what Global Benefit does or not everyone will be able to experience Rwanda. My goal was to allow you to experience a bit of what I have experience over the last 13 days. One group that has been following this blog are some teachers from my children’s school, Gilmanton Elementary. I wanted to send them a personal thank you, so below is just that. I mention the coffee fundraiser in the video above and I want to explain this just in case you are wondering what it is all about. Global Benefit has a fundraising arm for groups and schools. We use this program not only to help raise funds for clubs and their programs, but we use it to: create fair trade markets, raise awareness to the Global Clean Water Crisis, and to help raise funds to bring more clean water to Africa. If you are interested in a fundraiser for your school or group you can contact me at mark@globalbenefit.org . We (the team and I ) will be leaving tomorrow to head back home. I will heading back to snowy NH, Brett will be going back to Colorado (you can check out Brett’s blog from this trip) and Andre will be heading back to LA. I want to thank Brett and Andre for doing an amazing job capturing these stories that will be used to educate and engage people in a way that will lead people to action. At Global Benefit we say YOU+ACTION=CHANGE. Change does not take place on its own, it is everyone doing a little bit, and collectively we can make this world a little bit better. I know Global Benefit is a Clean Water and HIV/AIDS organization so you might be wondering why I spend so much time sharing other projects and writing about other people and organizations. I do this because I want to celebrate what others are doing and hope it inspires you to realize that ordinary people like you and me, can and are, making an positive impact in our world. Not everyone needs to be passionate about clean water like I am, but I think each one of us can find someway of giving back to humanity. I give back because of what Jesus did in my life when I was 22 years old. I was quite lost in life and God gave my life purpose gave me a passion for life and for people. Not that I have life figuered out…absolutely not, but I have been catapulted into a journey that has taken me places that I never dreamed about; all good of course. It’s been a trip helping others, especially those who live in extreme poverty. If you know me (Mark Warren) I am anything but religious, yes I go to church and yes I read my Bible, but bottom line is I love having a part to play in helping people get out of extreme poverty. So on that note, here is another story. This morning we went to the African Bagel Company for what is called Donut Days. 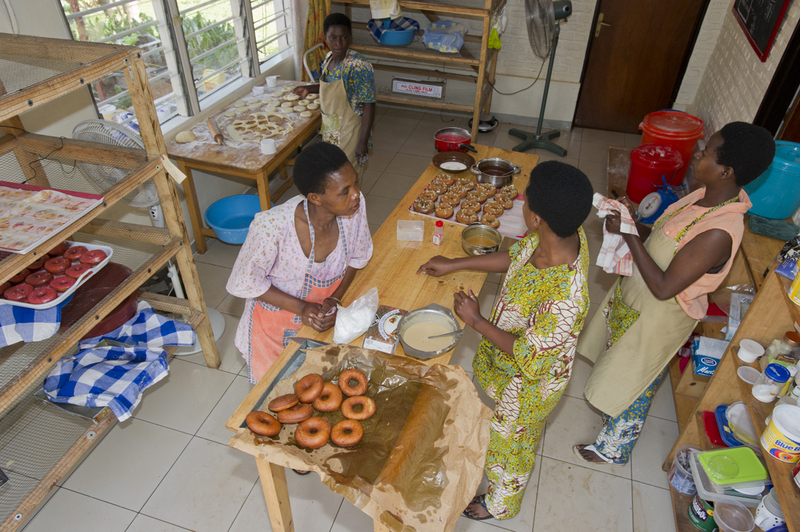 Every Saturday the African Bagel Company opens up for a few hours to sell donuts and coffee – another novelty in Rwanda. Most Rwandans don’t like sweets but many Expats who either work as missionaries, or for NGO’s or the UN crave them, so they come in droves to hang out, network and stock of for the weeks supply of Bagels, homemade frozen pizza, salsa, and bagel chips. It was a lot of fun and I had a chance to meet a lot of great people who have a lot of passion. In the afternoon we went to hang out with Linda who has an organization called Through the Eyes of Hope www.eyesofhopeproject.com . Linda Smith, who is a photojournalist New York City, first traveled to Rwanda in 2006 where she spent much of her time behind the camera. 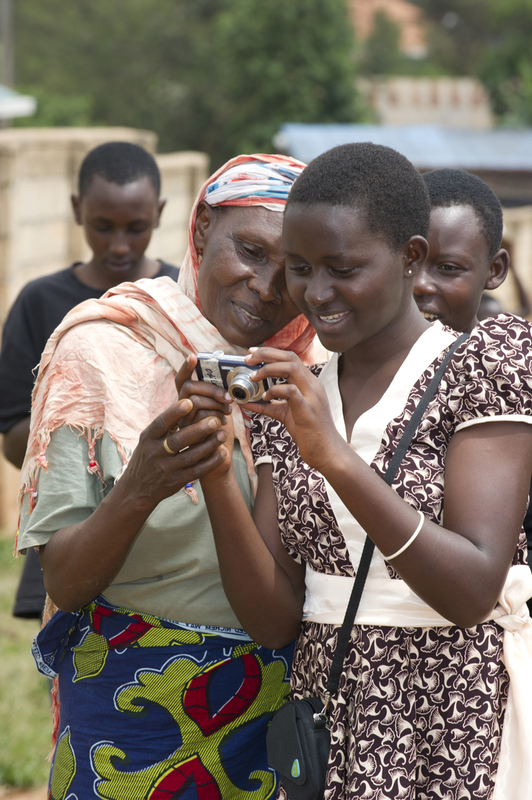 The Rwandans were captivated by the photographs that Linda took since many of the children and adults she photographed had never seen an image of themselves. Linda recognized the potential that the camera held for the children, by not only providing them with documentation of their lives but also allowing them to experience a sense of joy and fun. When she returned to the United States, Linda began researching photograph-based projects for children. She wanted to develop an art program for children that utilized photography and had the potential to be successfully conducted in third world countries. As a result of her research and vision, the Through the eyes of Hope Project was born in 2007.The project has two goals-to teach basic photographic principles to extremely disadvantaged children and to educate children who are interested in learning about the children of other cultures. In January 2007, Linda ran a pilot project in Rwanda with eleven orphaned children from the Kagugu School, who had lost their parents in the1994 genocide and AIDS. The workshops proved to be very successful and had a great impact on the eleven children. At the Kagugu School, teacher Prossy Yohana has continued the photography program to extend the benefits to the many other deserving children. Many of the photography students at the Kagugu School have been earning extra money for their school fees by photographing weddings and taking passport shots. The Kids assignment for today, after looking at samples of famous portraits, was to go throughout the community finding people to take their portrait. I went out on assignment with two 18 year old boys; we had a lot of fun laughing and talking about American movies. One of them wants to be a comedian like Mr. Bean and the other one want to be a researcher – they truly believe they can be anything they set their mind to. Once all the kids returned back to the class with their photos, the children all reviewed eachother’s photos and had to vote on who had the best work. Of course they all voted for themselves – but it was great to see the excitement and hear the hope and promise in these kids voices. Rwanda definitely in an emerging country and it has great promise; I can see it in this next generation of children. 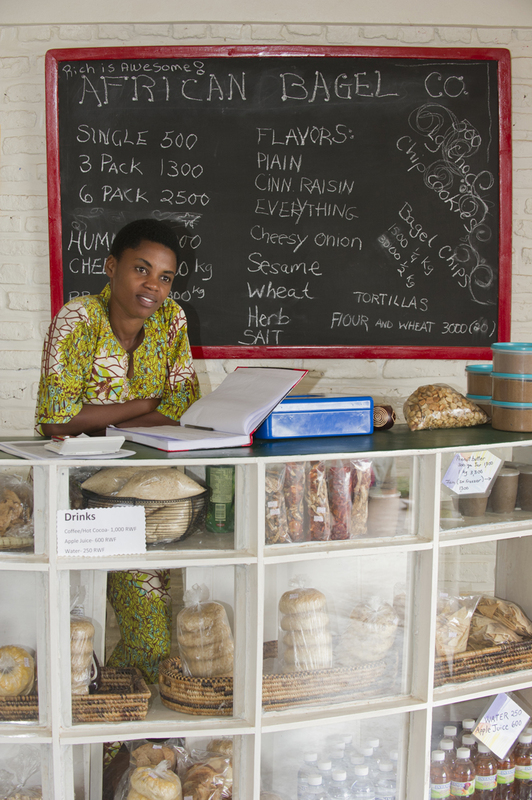 Rwanda Day 9 – Bagels in Rwanda, no such thing till now. Rich and Robin Smith are missionaries to Rwanda and have been living here for 5 years; this is the couple we are staying with while in Rwanda. I know them because they attended our church in Pembroke, NH before they came to Africa. 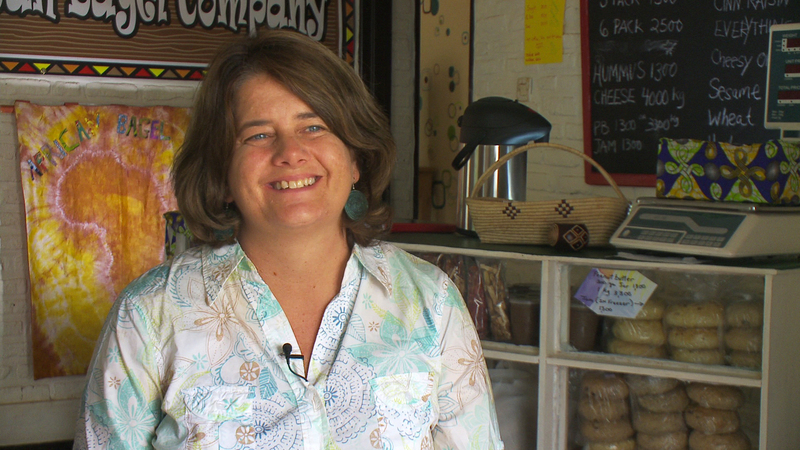 They have 4 kids and sold everything they had and moved from Pittsfield to Rwanda in 2005. Rich has a chicken feed business that employs street boys and Robin runs a Women’s Co-op that helps teach women basic life skills while she instructs them to make bagels and doughnuts, she calls it the African Bagel Company. Today we took the tour of the facility and spent time with Robin getting to know what she is doing and the impact she is making. 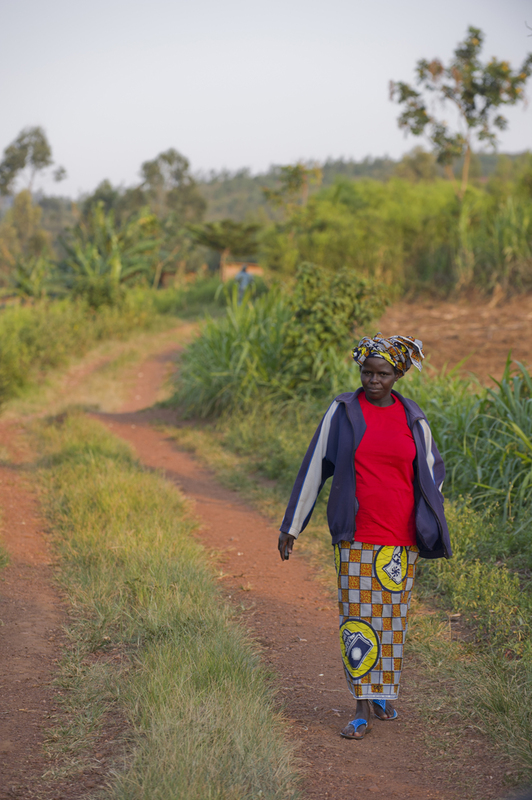 We thought while we were in town in would be great to film the work they are doing in Rwanda. Robin is taking vulnerable women who have been either living on the streets or in vulnerable situation and is teaching them job skills and pays them a fair wage to work in the Co-op. 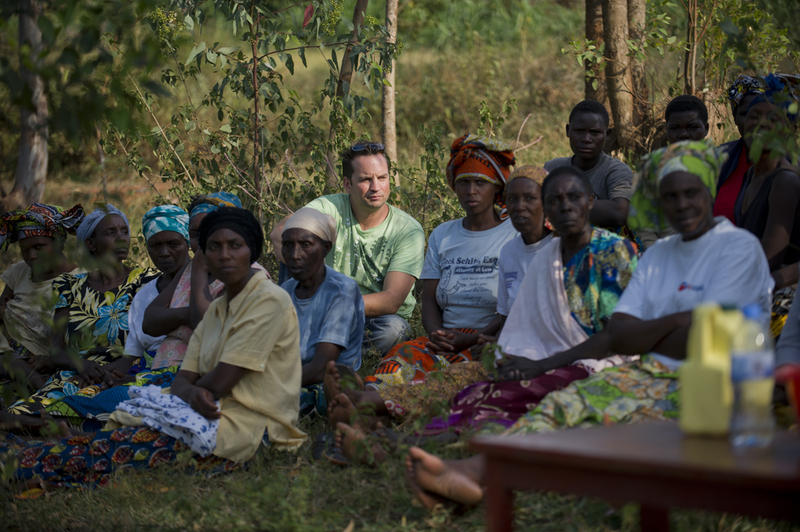 Robin then takes it a step further and teach these women about finances, hygiene, math, managing their home, HIV prevention, and practical values based on Biblical principles. This type of program is where I am seeing success in bringing people out of poverty in a sustainable way. It’s more about empowerment and teaching skills then it is about just giving a hand out. The more I in Africa the more I realize that poor countries do not need our charity as much as they need opportunity. I once heard an African man speak at a conference and his title for his talk was “Africa needs Trade not Aid. There are some things that the poor cannot do for themselves, like bring clean water to their community, but in every step of the way, we need to include the community in the process as much as possible so they can take ownership and feel a sense of pride as they invest in their own future.